Everyone knows the Further Education sector has been working to strict budgets in recent years, with funding for adult learners being cut by considerably and reported cuts set to continue for funding for adults and young people. With the general election only a few months away, this sector is rightly concerned about to what to expect next. What is clear is that further efficiencies will need to be found, year on year. 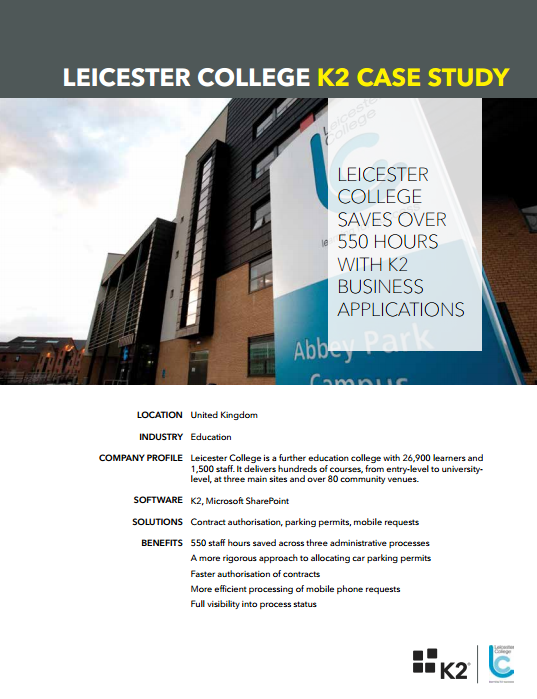 Like most Further Education (FE) colleges, Leicester College faced these and other challenges. It has a number of administrative processes, ranging from the monitoring of learner attendance to the handling of funding applications. As these manual processes placed an increasing strain on employees’ time, the College needed an innovative solution that could save it time and money.